The beautiful waters of Grace Bay and the Regent Palms. 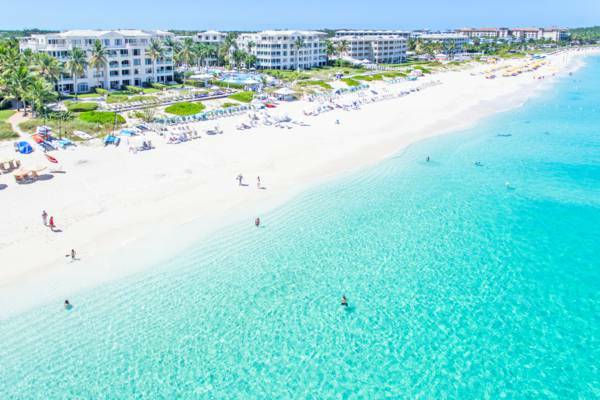 The Palms Turks and Caicos is an exquisite 72 suite resort located directly on a prime stretch of Grace Bay Beach. Choose from one, two, and three bedroom units. This premier resort features two restaurants, a bar, a spa, and fitness centre. The Regent Palms on Grace Bay Beach.